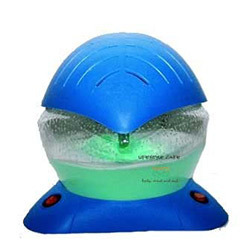 BLUE Rainbow -Air purifier-Pefectaire,with changing LED lights. color therapy with humidification and air purification in one. Fantastic for newborn babies keep their air free of congestion,coughing and allergies.